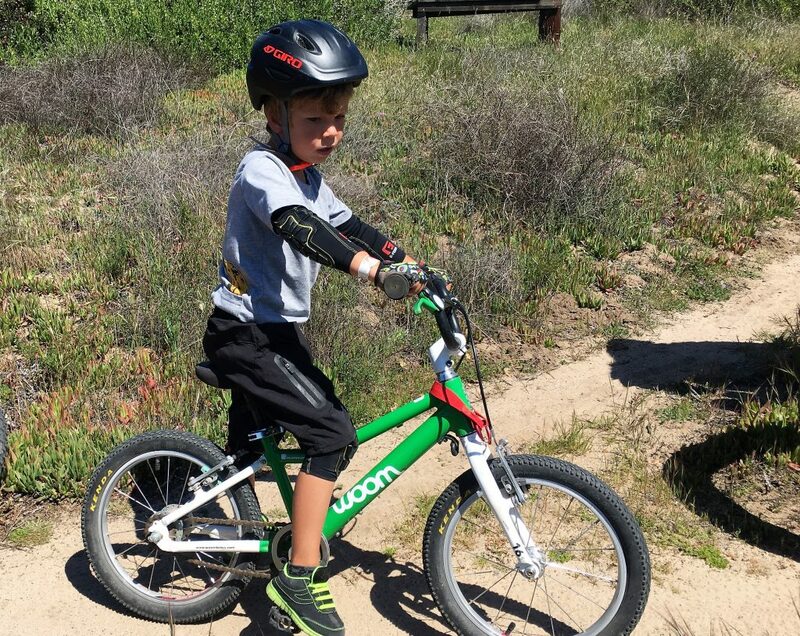 If your kids have been mountain biking for long, they’ve had their fair share of crashes. Some of these are barely worth noting, while others are bloody, tear-filled, confidence-destroying tumbles. 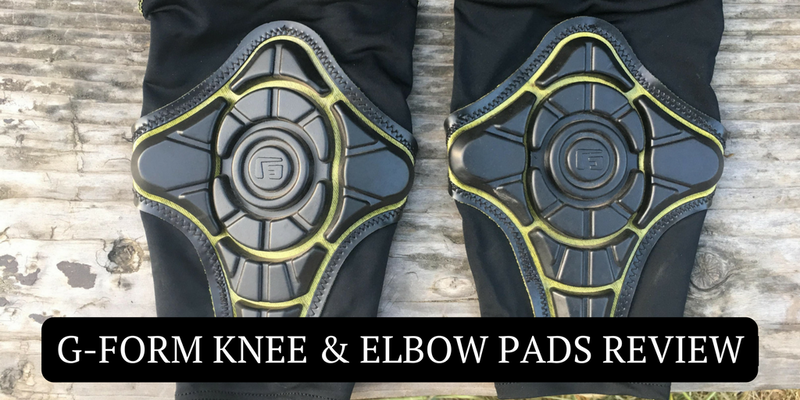 Once your child has had enough of the latter, you’ll be convinced of the need for knee and elbow pads. Unfortunately, as you may have already discovered, most pads are bulky, uncomfortable, hot and impracticable for pedaling further than the end of the block. Enter G-Form. Popular amongst adult mountain bikers (and other gravity athletes) these lightweight, comfortable, malleable pads come in youth sizes as well. In fact, we think they are even better for kids than they are for adults! Thanks to the sleeve design, kids can put them on and take them off all by themselves. They are machine-washable (score one for moms), and they are comfortable for long periods of time. Which means you can put them on at the beginning of a ride, and be prepared for anything that might happen on the trail. We should also mention that they really do perform well in the event of a crash. I’m pretty sure we’ve now avoided multiple blood-knee scenarios thanks to these pads. We’d been waiting (impatiently) for our son to fit into some G-Form pads for quite a while. Most of the pads for toddlers and preschoolers are bulky, inflexible, and uncomfortable. 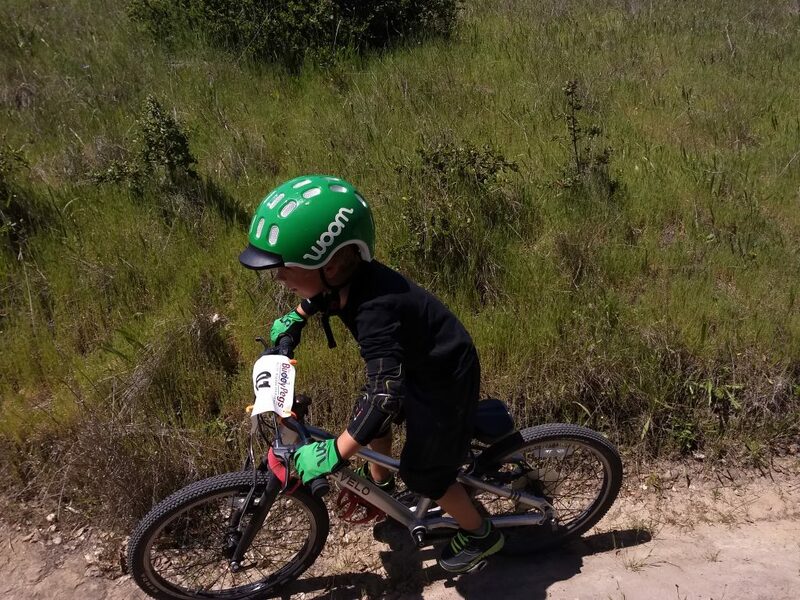 We’d put pads on him for practicing a jump, but they were impracticable for longer trail rides or even a long day at the bike park. Finally, at 5.5 years old he’s big enough for the size S/M G-Form pads–mostly. The sleeves on both the elbow and knee pads were still a little loose for him and sliding down, so I added a few stitches to the top of both. Once he’s grown a bit, we’ll be able to remove the stitches. The sleeve fabric is really lightweight and breathable, although on a particularly hot day my son did complain that they were making him hot. On cooler days, they fit easily under his long sleeve shirts and long pants. The youth pads come in two sizes S/M and L/XL. Older kids and teens will fit comfortably in the smaller adult sizes. Compared to most knee and elbow pads, the G-Form pads are about 10,000x more comfortable. Rather than being held up by velcro, the pads simply slip on. (For the cycling parents out there, these are very much like knee and arm warmers that you would wear for biking–with a protective layer added). This is nice for young kids as they are able to put on, take off, and adjust the pads without any help. My son also happens to be INCREDIBLY picky about how things fit and feel, and he’s had zero complaints about the G-Form pads which is probably the biggest win of all. If he’s comfortable in these things, then, believe me, they must be REALLY comfortable. Because the pads are soft and non-bulky, they are comfortable for long trail rides and all-day wear. This is excellent whether you simply want a little extra protection for cross-country riding or for long days at the bike park. 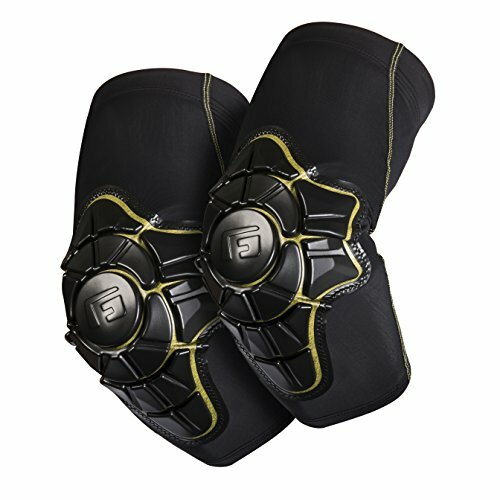 The G-Form pads are unique in that they are soft and flexible until you crash–on impact, they harden. This is thanks to something G-Form calls “Reactive Protection Technology.” Essentially, there are molecules within the pads foam that normally repel each other. When they are compressed (by a fall), the molecules bind together to create a stiffening effect. After impact, the foam returns to its normal malleable condition. In practice, my son has had a couple of crashes in the pads, and they’ve performed as advertised. 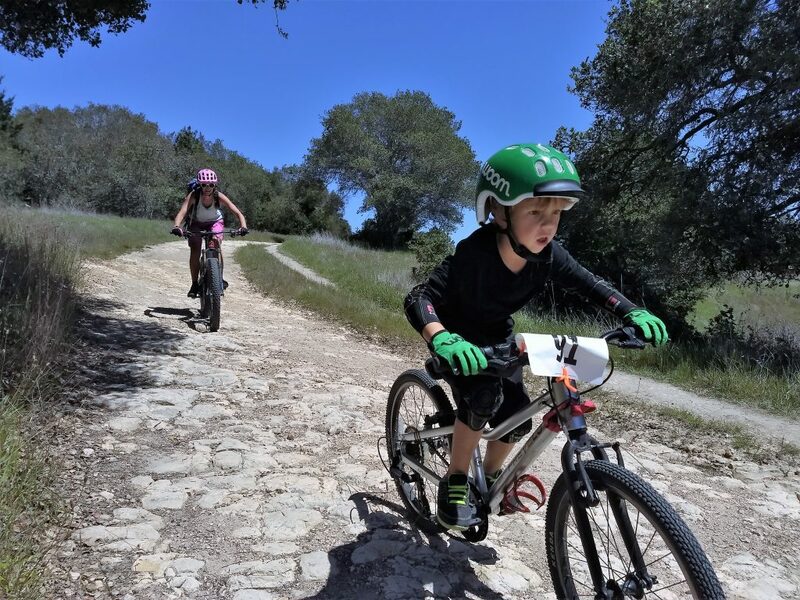 Although we bought the G-Form pads primarily for mountain biking, we dig that our son can also use them for multiple activities. We’ve been having him use them for skateboarding and rollerblading as well. He happens to fall a lot more often during these activities than he does on the bike, and the pads have held up well for crashes on the pavement. G-Form also markets the pads for use for paddling, soccer, and snow sports. It is worth noting that the G-Form pads are machine washable which is awesome since we are talking about a kids product here. These things are going to get covered in mud, chocolate, snot, and who knows what else. The Troy Lee Designs Speed pads are the closest competitors to the G-Form knee pads. They offer the same essential technology (soft pads that stiffen upon impact) and the same “sleeve”-type design. Compared to the Troy Lee pads, the G-Form knee pads are lighter weight and more breathable but offer slightly less protection due to the thinner material. They are slightly more expensive than the pads form TLD. Troy Lee does not, unfortunately, make a comparable elbow pad. For more kids knee and elbow pads options, you can also take a look at our list of the best kids protective pads. The G-Form pads are expensive but if you do a lot of biking (or other impact-prone sports), they are worth the price. 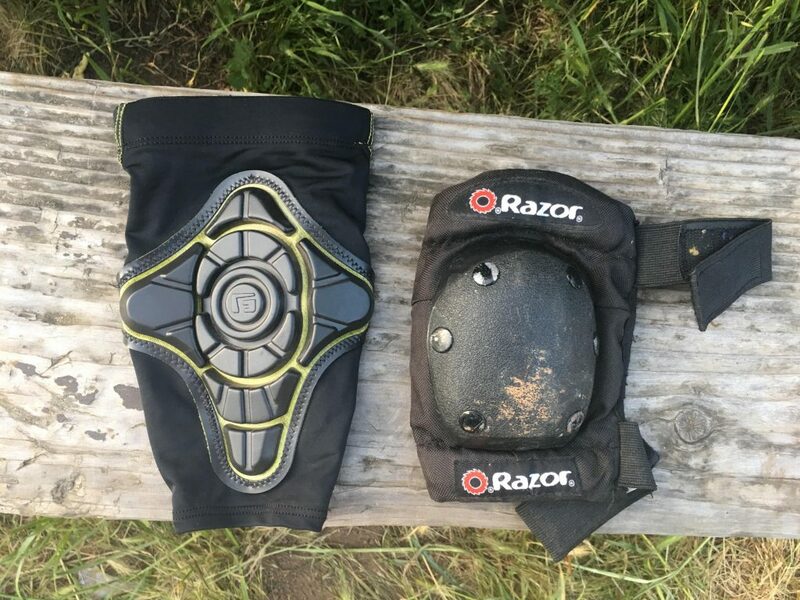 Infinitely more comfortable and practical than most kids knee and elbow pads, they can be used even on long trail rides. They also actually live up to their safety claims, as we’ve discovered in more than one potentially nasty crash. Disclosures: We are NOT an affiliate or in any way associated with G-Form. We did NOT receive free product for this review, and we paid for these pads with our own money. We are an affiliate for Amazon.com and JensonUSA.com. Hi, I wanted to share a tip with you that worked for us. My 6 yr is so skinny, nothing could fit him so we ended up using these G-Form’s along with a terry wrist bands for the arms, and Arm bands for his thighs to increase the circumference enough for a perfect fit. We us it for BMX racing and mountain biking. I hope it helps someone else. I LOVE YOUR SITE. Thanks Ashu. And what a smart idea–wish I had thought of that! Perhaps instead of “score one for moms”, “score one for parents” might be better? That way we don’t reinforce the stereotype that mom’s should be the only ones doing the laundry. Thanks!